Canadian Wildlife Federation: Spring Cleaning the Great Outdoors! Spring Cleaning the Great Outdoors! As the melting snow gives way to the bounty of spring it’s also uncovering one of our dirtiest little secrets – months of abandoned garbage! Without the camouflage of winter, the litter that made its way out of our pockets can make for an unsightly scene that is harmful to wildlife. 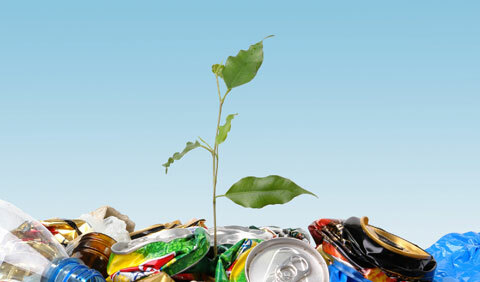 Most of what you find outside can be recycled, so be conscientious when picking up the trash. If you find six-pack rings, make sure that you cut them up before throwing them away – smaller animals can get stuck in the rings if they’re not properly disposed of. Any food waste you find during your spring clean-up should be properly composted. If you don’t already have a compost bin, you can easily pick one up at the local garden or hardware store, or make one yourself. If you don’t have the space for a backyard composter, check to see if your city participates in a green-bin program, or look into a vermicompost bin – a compact process that can easily be accommodated on your balcony, where worms breakdown food waste. The resulting worm castings make an excellent fertilizer. Unlike sheep or cow manure, cat and dog waste does not make a good fertilizer for your garden because it can contain parasites and organisms that are potentially harmful to humans. Your best bet is to flush it down the toilet or bag it for garbage collection. Not only will your four-footed and feathered friends thank you for cleaning up their habitat, you’ll also benefit from knowing you’re doing your part to help Canada’s wildlife.